Christians rightly recognize the Gospel as an essential Christian doctrine. We are saved by God’s grace received through faith in Christ – not by works (Ephesians 2:8-9). This vital principle has its roots in the literal history of Genesis. Unfortunately, some professing Christians mishandle Genesis. They interpret its message in an unnatural way to accommodate secular beliefs about origins such as “millions of years” or particles-to-people evolution. These compromised views reduce the Gospel to incoherent nonsense. Here’s why. What is the origin of death? Has death always been a part of this world? Is it a very good part of nature, or an enemy to be destroyed? When did it come about and how? The way we answer these questions will have a profound impact on our ability to understand and share the Gospel. The Bible teaches that death entered the world after Adam sinned and as a direct result of man’s sin. There are many passages that teach this, such as Genesis 2:17, 3:6, 17-18, Romans 5:12, 1 Corinthians 15:21. Death, the Bible tells us, is the penalty for sin (Romans 6:23). It is punishment for our crimes against God. Death could not have been part of the world before Adam sinned because God is righteous. It would be unjust for Him to inflict punishment if people had never sinned – especially a punishment as severe as death. Sin is disobedience to God – high treason against the King of kings. And death is the right penalty for sin. Even our own fallible sense of justice recognizes that treason is a capital offense; how much more so for treason against the King of kings! Furthermore, God is life and He has imparted life to us. When we reject God, we reject life. It makes sense that we should then receive death. The death penalty seems logically inescapable as the consequence for sin, as well as the morally appropriate punishment. Deep time is the belief that the universe is extremely ancient – many billions of years old. Secular astronomers and secular geologists generally believe that the earth is 4.5 billion years old. This sharply contrasts with biblical history. The Bible teaches that God created in six days – six earth rotations each of which consisted of one evening and one morning (e.g. Genesis 1:5, Exodus 20:11). Furthermore, the temporal information given to us in Scripture informs us that about 4000 years elapsed between the creation of Adam and the incarnation of Christ. This puts the biblical age of the universe and earth at roughly 6000 years. There have been many attempts to reconcile the biblical timescale with the secular timescale: day-age theory, progressive creation, theistic evolution, gap theory, framework hypothesis, and so on. None of these views can be defended exegetically, and I have written extensively on this topic elsewhere. Here I simply wish to point out that all these views have one thing in common. They have a fatal problem that undermines the Gospel: they all require death to be in the world before Adam sinned. Most secular scientists who believe in deep time believe that fossils are millions of years old – even hundreds of millions of years in some cases. But a fossil (in this context) is a dead organism. A dinosaur fossil, for example, is the mineralized remains of an animal that is now dead. But everyone agrees that human beings are recent; both secular scientists and creation scientists agree that human beings did not exist hundreds of millions of years ago. So, if fossils really are millions of years old, then that means that at least some animals were already dead long before human beings came on the scene. Deep time requires that death was already in the world and had been in the world for millions of years before Adam and Eve were ever created. But how can that be if “by man came death” (1 Corinthians 15:21)? All the aforementioned attempts to modify Genesis to accommodate deep time assume that fossils are millions of years old. All of them therefore require that death did not enter the world when Adam sinned, but that death was already in the world before Adam was even created. Now, if this were so, then death could not be the penalty for sin. It would be unjust for God to punish His creatures by inflicting such a severe penalty when no one had yet sinned. So, if deep time were true, then the Gospel couldn’t be. The Gospel presupposes that death is the penalty for sin; that is why Jesus died on the cross. But if death has always been in the world as a natural part of the created order, then it is not the penalty for sin and Jesus died for no reason. Furthermore, it would mean that you are still in your sins and cannot see heaven. As Christians, we must reject the notion that fossils are millions of years old, because this is contrary to the Gospel. Unfortunately, Christians are often intimidated by secular scientists and become convinced that deep time is true. Deep time requires millions of years of death and bloodshed before Adam and Eve sinned – indeed before they had even been created. So how do deep time supporters attempt to reconcile the biblical teaching that death entered the world as a result of Adam’s sin, with the secular view that death has been around for millions of years. One attempted solution is the claim that Adam’s sin merely brought spiritual death into the world, but that physical death was already present. Spiritual death refers to a separation from God. God created man to be in fellowship with Him. Sin breaks that fellowship. There is no doubt that spiritual death accompanied Adam’s sin. His perfect relationship with God was broken at that moment. But was physical death already present in the world before Adam’s sin? Some have even argued that the text of Scripture supports the notion that Adam’s sin merely resulted in spiritual death, not physical death. They say, “God told Adam that on the day he ate of the forbidden fruit, he would die. But Adam didn’t die physically on that day. So, the penalty for sin is only spiritual death because Adam did die spiritually on the day he ate the fruit.” This is an understandable conclusion, but it is not consistent with a careful reading of the biblical text. Let’s look at what God actually said. In Genesis 2:15, God tells Adam not to eat from the tree of knowledge of good and evil, “for in the day that you eat from it you will surely die” (NASB). That phrase “surely die” does not imply an instant death, but rather, a certain death. The original Hebrew text would be more literally translated as “dying you will die.” This suggests that the actual death will occur in the future, and that it is absolutely certain. Therefore, based on the Hebrew text we must conclude that it is not the death that occurs on the day Adam eats, but rather the certainty of death that occurs on that day. In other words, the very day Adam ate from the fruit, he became mortal. The death process began, but (by God’s grace) it did not culminate until much later. But what about the position that Adam’s sin merely incurred a penalty of spiritual death, but not physical death? This position leads to heretical implications. If spiritual death (but not physical death) is the penalty for sin, then no one can be saved. The reason is that Jesus never died “spiritually.” Rather, He died physically on the cross. The crucifixion could only pay the penalty for our sin if the penalty for sin is physical death. The Bible indicates that without the shedding of blood (which accompanies physical death but not spiritual death), there is no forgiveness of sin (Hebrews 9:22). Moreover, context disallows the possibility that sin only results in spiritual death. When God pronounced judgment upon Adam, He clarified that this would include physical death. God says in Genesis 3:19, “By the sweat of your face You will eat bread, Till you return to the ground, Because from it you were taken; For you are dust, And to dust you shall return.” Man returning to dust is a reference to Adam’s future physical death. 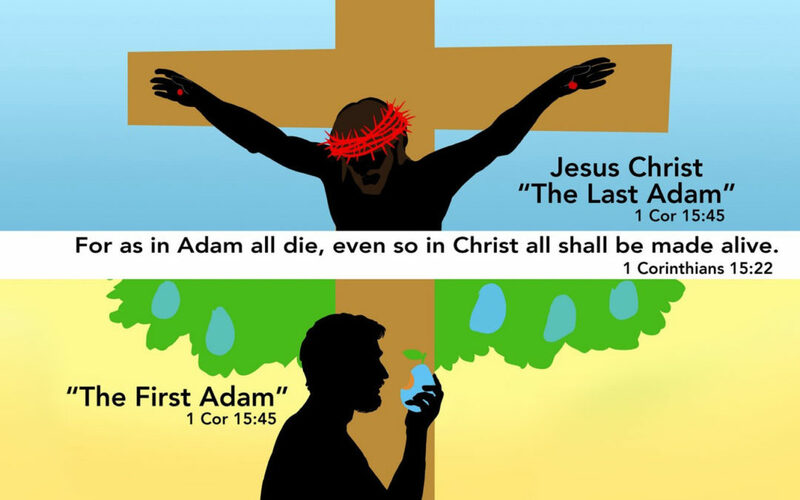 There can be no doubt that the penalty for Adam’s sin included physical death. But that would make no sense if physical death was already in the world. Given the aforementioned considerations, there is no doubt that Adam’s sin resulted in losing immortality. He died physically as a result of sin, and likewise with all humans after him (Romans 5:12). But some people, still clinging to deep time and insisting that fossils are millions of years old, have suggested that Adam’s sin merely brought about human physical death. They suppose that animals were already living and dying for millions of years before Adam sinned. Under this view, had Adam not sinned, he indeed would have lived (physically) forever, but animals have always been mortal. But can this view be supported from Scripture? Advocates of this position frequently point out that Romans 5:12 is dealing specifically with humanity and does not mention the world of animals. Since this text does not say that animals also die as a result of Adam’s sin, many feel that they are justified in believing that animals did die before Adam’s sin. But this is the fallacy of the appeal to ignorance. We would grant that Romans 5:12 focuses on man, but this does not imply anything about animals one way or another. If Romans 5:12 were the only verse in the Bible, we could not distinguish one way or another if the penalty for sin extended to animals or not. Fortunately, Romans 5:12 is not the only verse we have in Scripture. In Romans 8:20-22 we see that the whole creation was subjected to futility and became a slave to corruption as a result of man’s sin. So the effects of Adam’s sin are not limited to humanity, but extend to all creation, which necessarily includes animals. Even in Genesis we see that God cursed the Earth on account of Adam’s rebellion (Genesis 3:17). Even plants were cursed so that they would now grow thorns (Genesis 3:18). By the way, we find fossils of plants with thorns in fossil layers that secularists believe to be over 400 million years old. Yet, Genesis 3:18 indicates that thorns came about after Adam sinned and as a result of it. Furthermore, the Bible states that when God finished His work of creation on the sixth day, He saw everything that He had made and “behold, it was very good” (Genesis 1:31). This statement is made on the sixth day after God created Adam and Eve. Were animals already dying, suffering disease, and killing each other at that time? A number of fossils that secularists believe to be millions of years old show evidence of disease (including cancer), battle with other animals, and carnivorous activity. If this all occurred and was still occurring when God finally got around to creating mankind, then could God really call it all “very good?” Is cancer “very good?” Yet, Jesus healed the sick. Furthermore, when does God actually institute animal death? It is after Adam sinned and as a result of it. God provided animal skins for Adam and Eve to wear as a covering for their shame (Genesis 3:21). This means that God must have killed an animal or animals to provide those skins. Scripturally, the first animal death resulted from man’s sin. Yes, animals also became mortal when Adam sinned. This bothers some people. Why do animals have to suffer when people are the ones who sinned? But of course, this is because Adam was given authority over the animals (Genesis 1:26,28). When a leader acts wickedly, all who are under his authority suffer (Proverbs 29:2). That is the nature of authority. Of course, when a leader acts wisely, those under his authority are blessed. That is also the nature of authority. Some have asked, “But wouldn’t plants have to die before Adam and Eve sinned? After all, they were to eat plants or at least the fruit of plants. Isn’t that an example of death before sin?” Interestingly, the answer is no. Humans and animals would have certainly eaten plants before the fall into sin. But do plants die? Not in the biblical sense of the word, at least not literally. Plants do not literally die because they are not literally alive in the first place. Let me clarify. The Hebrew word associated with a living creature is “nephesh.” This Hebrew word is used to describe human beings as well as animals. Both man and beast are said to be “living creatures.” But not plants. Plants are never referred to in Scripture as “nephesh.” They are not alive in the biblical sense of “alive.” Modern biologists typically use a different classification system in which plants are classified as “life.” That is okay as long as we understand that it is different from the biblical definition of life. We understand that a tree is not alive in the same way that a dog is. Plants are not living in the biblical sense but are self-replicating food for living creatures to consume. We might poetically refer to a “dead plant” just as we might refer to a “dead battery” without believing that the battery was ever really alive. So, there would have been a plant cycle before sin, just as there will presumably be a plant cycle in the eternal state. Yet there was no death in the biblical sense of the term. The stakes are high. If death of living (nephesh) creatures occurred before Adam sinned, then death is not the penalty for sin. It is not an enemy to be destroyed, but a natural part of God’s “very good” creation. In such a case, why did Jesus die on the cross? What did His death accomplish if it is not the payment for sin? What becomes of the Gospel? It is very easy to be fooled into thinking that deep time is an insignificant side issue. Few Christians stop to consider that deep time, if it were true, would undermine the Gospel because death would not be the wages of sin. But there is no need to compromise with secular beliefs. The biblical timeline is correct and is corroborated by logic and science. We can have confidence that the Bible really is God’s Word, and the Gospel really is true. See my book Understanding Genesis.